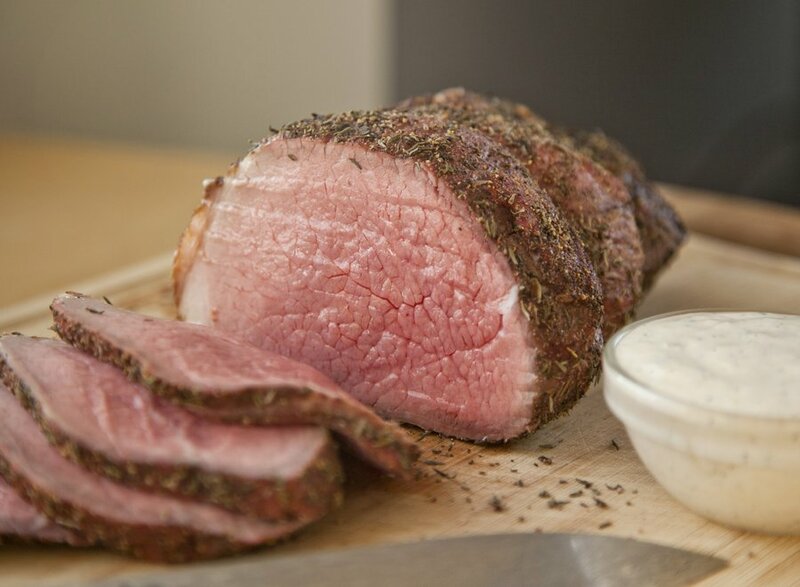 My new favorite dinner that I have been making at least once a week is this super easy Eye Round Roast Beef recipe served with a Homemade Horseradish Cream Sauce. I like that the prep is easy, and while the roast beef is cooking and doing it’s thing, I can go along with my day and do my thing! 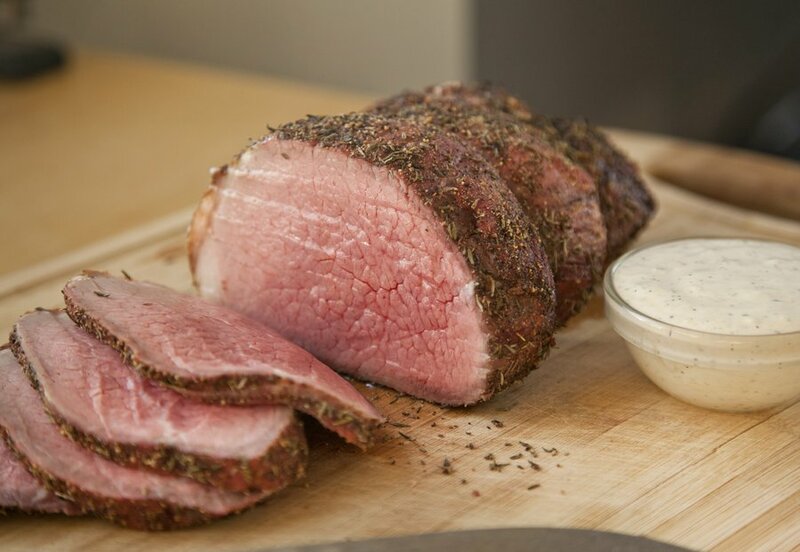 The instructions for cooking the roast beef perfectly every time are quite simple. You place the roast in a 500-degree preheated oven and roast it for 25 minutes. You then shut the oven off, leaving the door closed for 2 hours, and, viola! 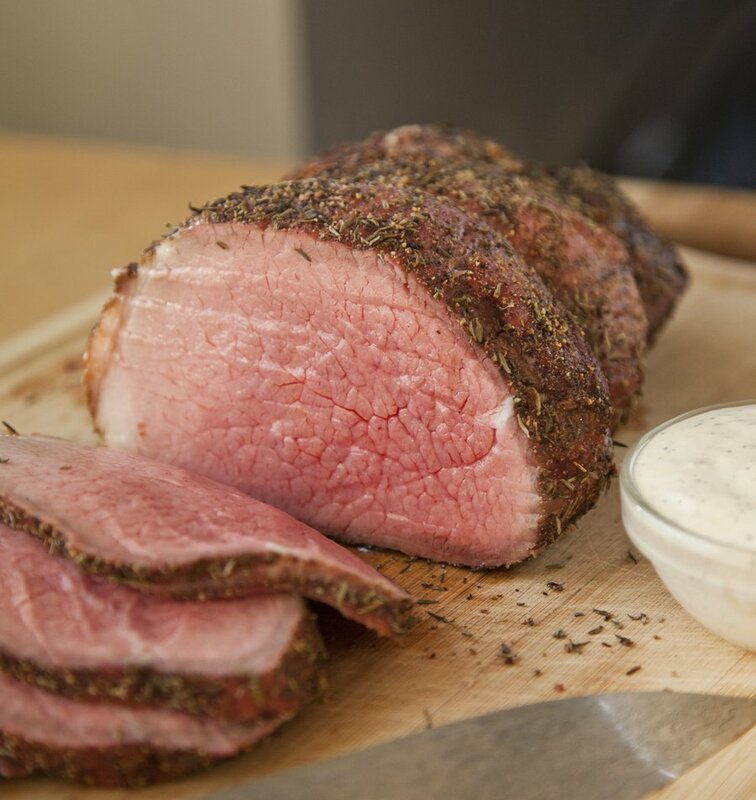 Perfect Roast Beef. Do not open that oven door under any circumstances. Walk away from the oven, go to the gym, walk your dog, get your hair done, do whatever you need to do, but do NOT open that oven door. You have been warned. If you have some pressing need to see how the roast is doing, turn the oven light on and look through the oven window…but again, do not open the oven door, it will ruin everything, and the world will implode. The initial roasting sears the outside of the meat perfectly and gets a beautiful crust on it, while the 2 hour nap it takes afterwards in the oven, cooks it through and gives you a perfect medium rare roast beef. The horseradish cream is an added bonus. I use this on all red meats (especially if I plan to make the meat into a sandwich!) 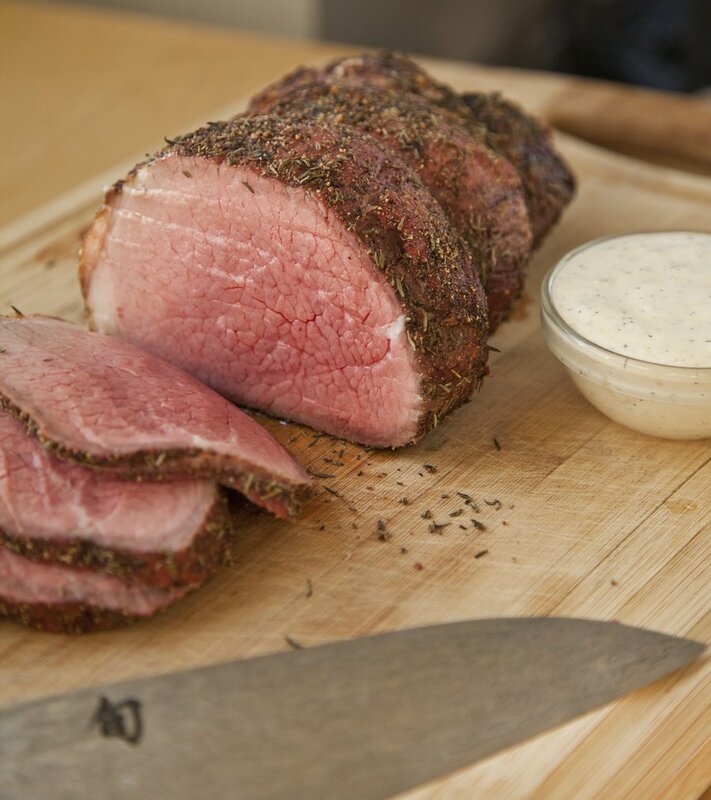 The cream sauce has the perfect combination of salty and acidic flavors that compliment the flavors of any red meat out there. 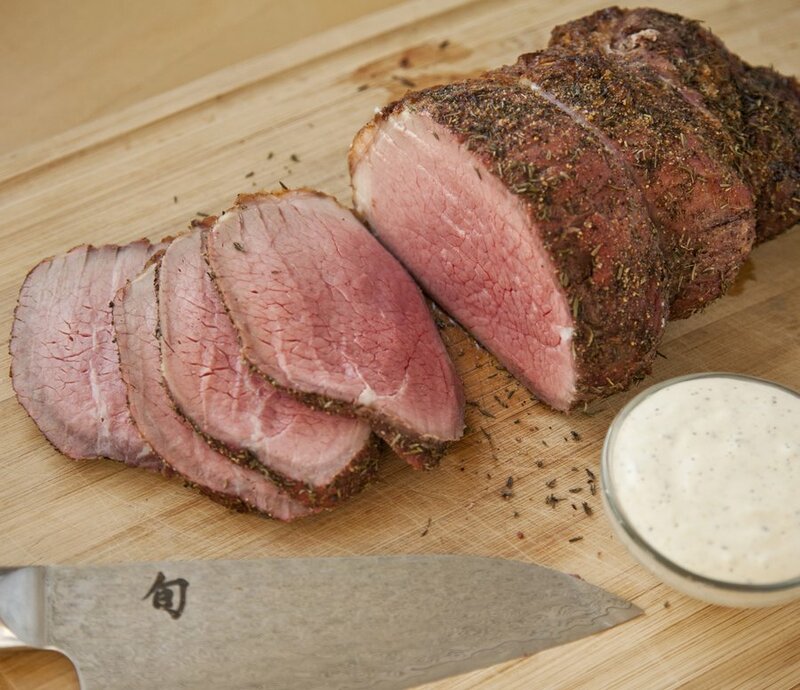 The perfect Roast Beef every time! Remove your beef from the fridge 30 minutes before you're about to cook it to let it get to room temperature. Meanwhile, preheat your oven to 500 degrees. In a small bowl, stir together your salt, pepper, thyme, and garlic powder. Rub this mixture all over your roast beef. Place the roast beef, fat side up on a wire/metal rack in a roasting pan. Place in the oven and cook 25 minutes. Shut off the oven, without opening the oven door, and let the roast sit in the oven for 2 hours. DON'T OPEN THE OVEN until the 2 hours is up. After the 2 hours, remove the roast from the oven, and let it rest about 15 minutes before carving. 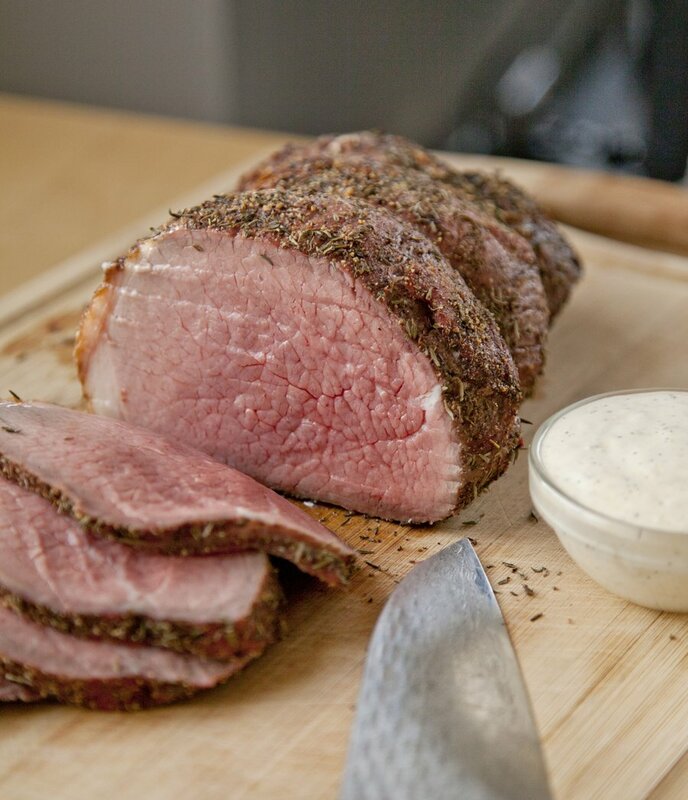 Serve with horseradish cream sauce. The perfect compliment to any red meat dish! Combine all your ingredients in a bowl and mix together until incorporated. Refrigerate until use (the longer it's in the fridge, the more the flavors will meld).